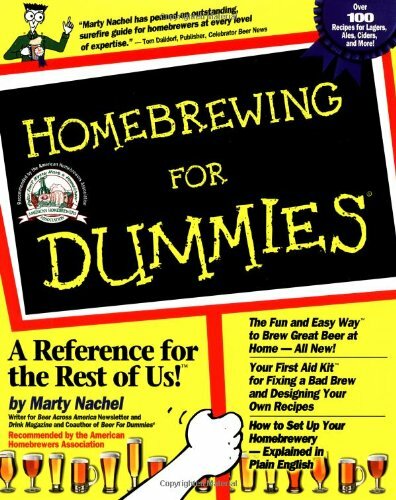 Home Brew Beer: Beersmith downloaded, now what? Here's the problem, I have no idea where to start. Sure the software is pretty straight forward... Pick a style, click on the ingredients and keep it within the style parameters, etc... But I'm looking for a kick start here... Does anyone have a good Witbier or Hefeweizen recipe they'd recommend? Something I can plug into BeerSmith and perhaps tweak a bit? And if so, what are my chances of brewing this upcoming weekend, and having it ready by the 4th? You can click on new recipe up there on the toolbar. Then plug in all the ingredients. I noticed that the alpha acids are off a little and the prices as well, naturally. There are some good books out there. 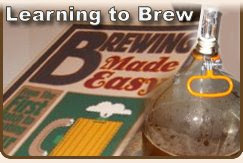 "Brewing Classic Styles: 80 Winning Recipes Anyone Can Brew" from Jamil has been recommended to me. Amazon has it right now. There are several good "gateway" homebrew styles to pick from. I recommend that you stay away from anything dark, as BMC-drinkers will automatically turn up their noses at them. Lots of quick styles to choose from -- Blonde Ale, Kolsch, Cream Ale, Belgian Wit, American Wheat. A sure-fire winner with both sexes would be an Apricot Wheat, which is basically an American Wheat with apricot puree. I have a recipe if you're interested. Could you post a link to your recipe? Thanks!!! Also, I took a quick look at some of your blogs. You are a very interesting guy... 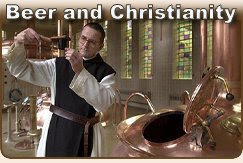 It's good to see a fellow Christian/Homebrewer out there... Skimmed your Church's website, looks like a very interesting church... I like your pastor's perspective. The beers I've had the most success with are beers that contain wheat. So liquid wheat extract is a good start. I don't have my recipes handy right now, but, I've used English Ale Yeasts and Kolsch yeasts with success in my "gateway" beers. Hops wise I'd say just keep the bittering down and small amounts for flavor and aroma. You aren't looking to assault somebody's palatte. Shoot for low IBU, wheat, with the English Ale yeast from white labs and you can turn it around pretty quick. 10 days with a keg. Add two weeks for bottles. At that point you can look at the estimates at the bottom. Just add more LME to increase abv and add more hops to 60 min boil for IBUs. Compare your IBUs to other similar recipes on byo's recipator. There are tons of wheat recipes on the net and even a few that come with beersmith. A wheat would be perfect for the summer. I was just asking the question yesterday on the midwest sunday beer chat. What beer would give me th fastest turn around time and wheat was the answer. You can go from start to finish in 2.5 weeks if kegging or about 4 if bottling. If you get time to dig that recipe up, I'd love to see it. Anytime. Good luck. I'll see what I can do to get you that recipe. I recommend that you start this right away to allow for the extra fermentation time required for the secondary fermentation of the fruit. The longer the better to avoid bottle bombs. -Crystal malt (15 degrees Lovibond) – ½ lb. -Apricot Puree – 3.0 lbs. (highly recommend the Oregon Fruit Products version available from your local homebrew shop). Peach would work too, but if you really want a peach flavor, apricot gives a better illusion of peach than peach does (go figure?). Don’t use the fake fruit extract – too artificial tasting. -Willamette 5% Alpha Acid – 0.85 oz. -Two days before brew day: Make a yeast starter using 8 oz. dry malt extract (light or wheat, makes no difference) added to 2 liters sterilized water, pinch of yeast nutrient – you can boil all of these together to sterilize, but watch for boil-overs. Cool the mixture to 70 degrees and pitch the yeast into the starter mixture. Shake it to aerate or put on a stir plate for mixing. Two days is long enough to grow the culture. -Steep the Crystal malt in 154 degree water for 45 minutes in a grain bag, sparge, remove the bag of grain, then put the wort into your brew kettle. -Heat 5 gallons of water and the preceding wort to boiling. When it starts to boil, turn off the heat and add the Wheat LME and the hops and stir. Turn the heat back on and watch for boil-overs. Boil for 60 minutes. -Cool to 65 degrees, rack to your carboy, and pitch the yeast starter into the carboy. Top off the carboy to 5 gallons with additional sterilized cold water (if needed). -Aerate well by shaking, aquarium pump or oxygen canister. -Insert your blowoff tube and ferment at 65 degrees until almost finished. Look at my blog if you need to see what a blowoff setup looks like. -When fermentation begins to slow, add the Apricot Puree to a secondary carboy and carefully rack the beer onto the fruit. Fermentation should pick up again as the yeast consumes the fructose in the Apricot Puree. -Once fermentation stops completely, bottle with 5 oz. corn sugar. Allow two-three weeks for carbonation in the bottle. Hi buddy, I've done a little research a for you about Hefeweizen recipe and I found this one, I hope it can help you a lot. 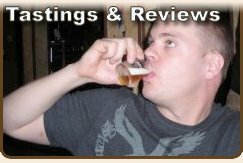 :-) a blog of makinghomemadewineandbeer. Good luck in Brewing for July. Cheers! I have used this program and it works very well. IMO this is the best software that you can use to Make Your Own Beer!